Soft, cuddly toys are great for children of all ages to snuggle and play with! Get their favourite characters, like Mickey and Minnie Mouse, Winnie the Pooh and friends, Bananas in Pyjamas, Elmo, Big Bird and Cookie Monster! Kids can cuddle and carry small stuffed animals, play with medium plush toys, or play on and in giant plush animals, mats and pillowy rompers. Sound effects add a fun spark to small plush toys, or choose puppets for preschoolers to put on shows and pretend with. 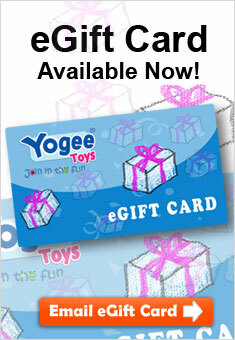 Give your child a simple gift they will cherish from Yogee Toys!